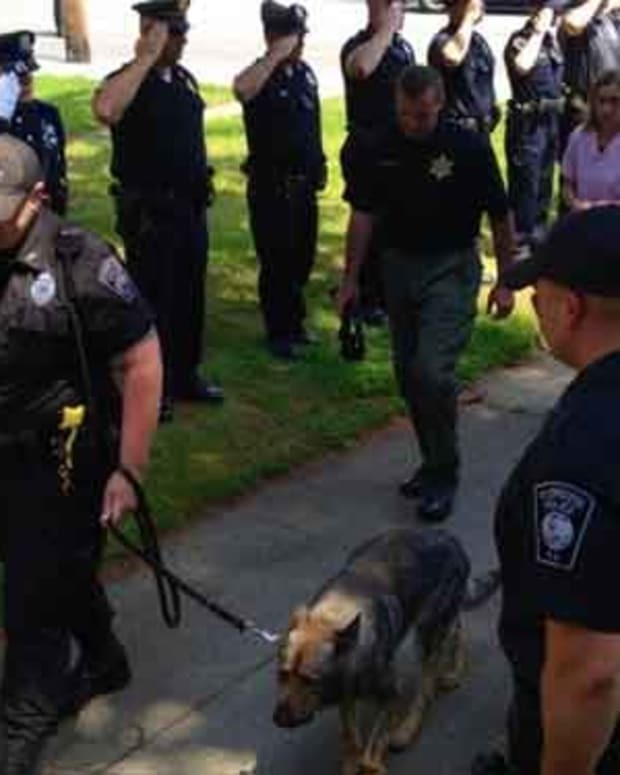 Just as Detroit lauds the decision of a federal bankruptcy court that public pensions can be cut and New York sees this as a crack in the door to make similar reductions, Nottinghamshire, a county in the East Midlands of England, finds a way to add police dogs to its list of pensioners and provide retired K-9’s with a lifetime medical benefit for their efforts in preserving public safety. On November 4, Paddy Tripping, Nottinghamshire’s Police and Crime Commissioner, announced what is believed to be the first such pension plan in England and probably in the entire world, stating that, “officials wanted to recognize the brave canines as &apos;officers in their own right&apos; and ensure that they are well taken care of upon retirement,” reports Dogonews.com. The funding is being put in place to recognize the dogs for their "hardworking service tackling crime," according to BBC News. Currently most retired K-9 partners are adopted by their handlers and considered part of the family. Thus, the police officer pays all medical and living expenses. 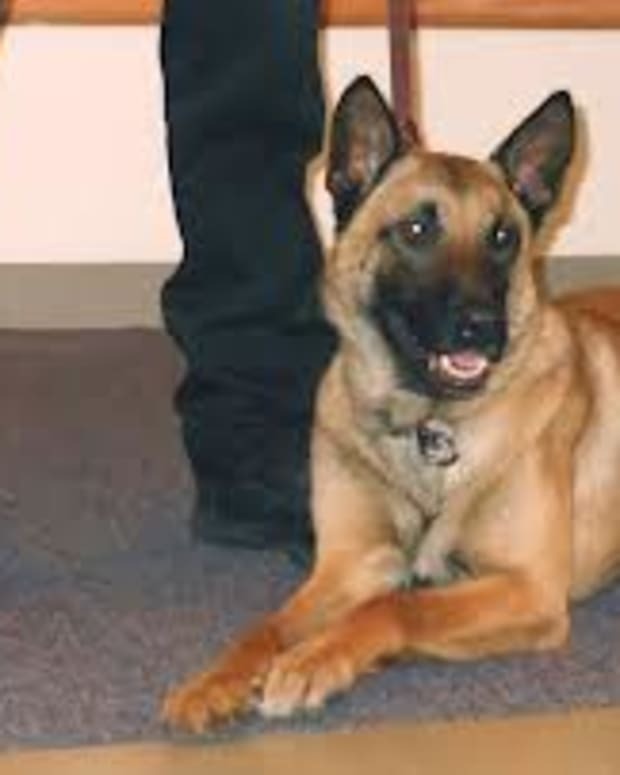 However, police dog who served in Nottinghamshire will receive a total pension sum of about $2,400 USD. or 1,500 Pound Sterling, paid over a three-year period,to assure their veterinary bills are covered after years of stressful and physically demanding work. Twenty-six dogs currently work for Nottinghamshire&apos;s police force, according to the Nottingham Post. One of the first recipients is expected to be an eight-year-old Belgian Shepherd, named Rossi. His handler, PC Rogers, said that, along with other acts of bravery in his years of service, Rossi recently saved his life by leaping eight feet into the air to grab an ax from the hand of a drunken suspect that Rogers was trying to arrest. His human partner says he is happy that Rossi&apos;s willingness to risk his life in the line of duty will continue to be acknowledged after he retires in a few years. 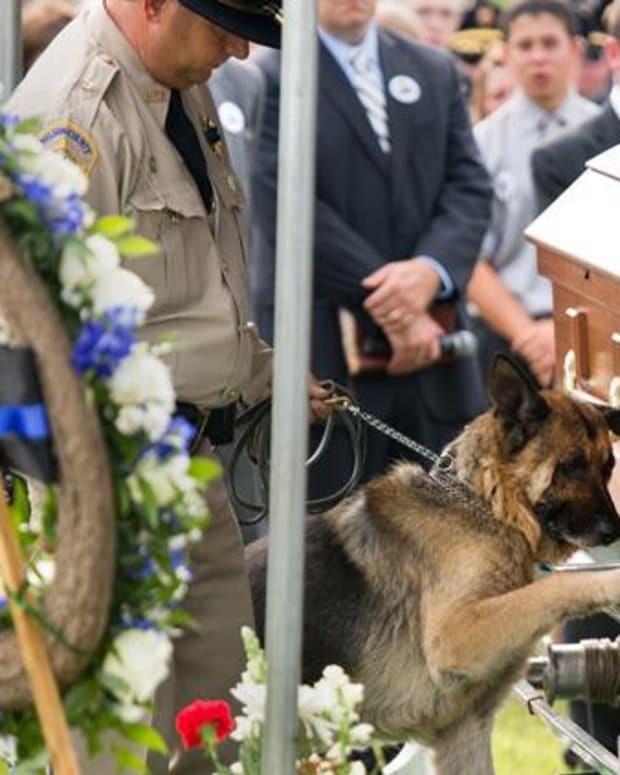 Hopefully, this progressive step by England will generate attention and support for efforts of an American not-for-profit organization, the National K-9 Working Dog, Inc., which proposed its "Police K-9 Bill Of Rights" in 2012 to provide medical benefits for retired police dogs and enhanced protection for those still working.